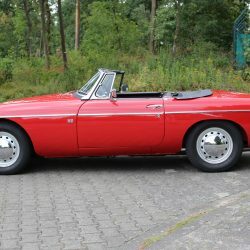 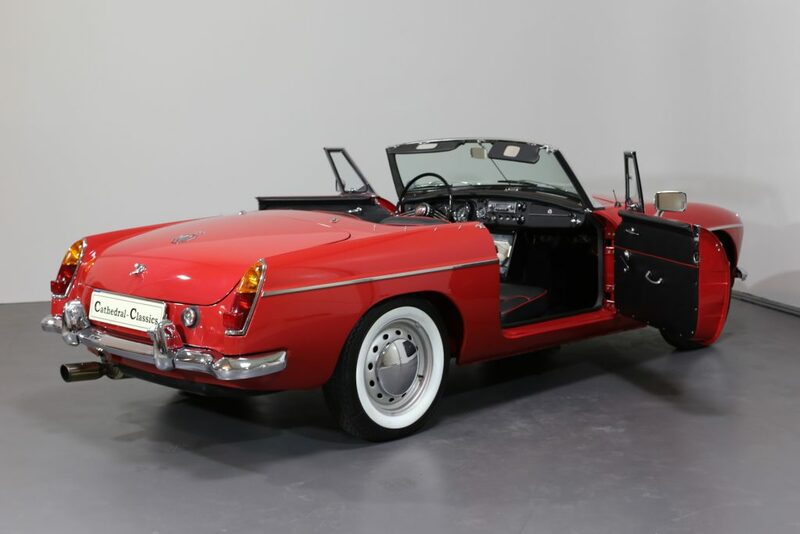 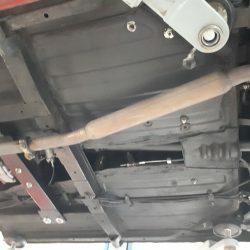 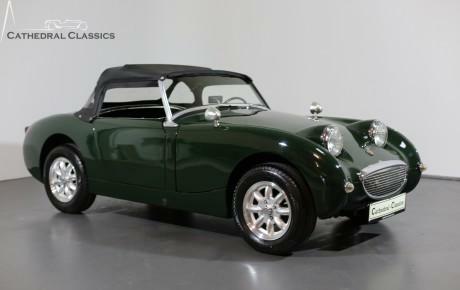 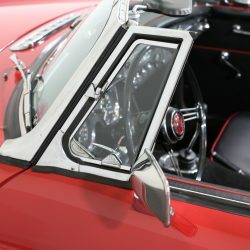 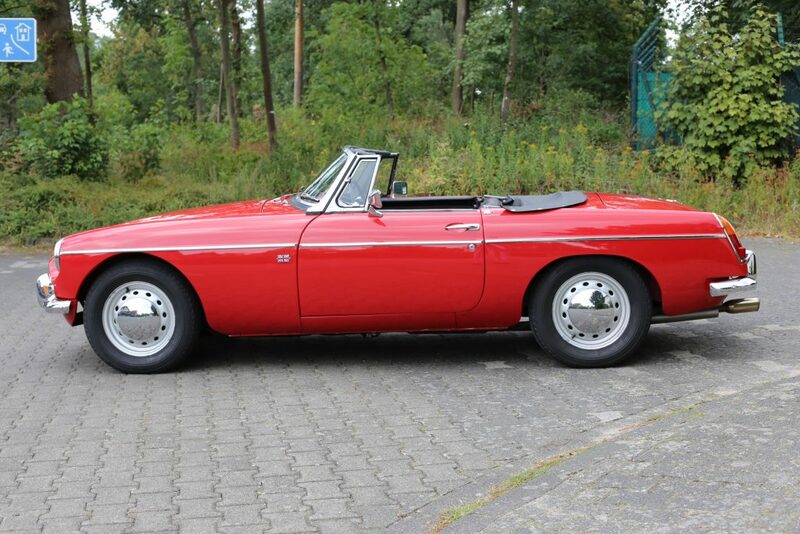 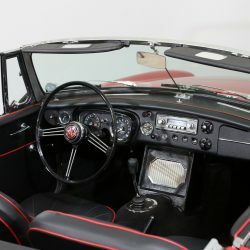 A delightful MK1 LHD MG B Roadster - “pull handle model” - with a secret! 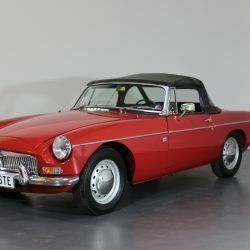 HISTORY - Heritage have confirmed that our MK1 example was produced on the 1st of December 1966 with the initial registration taking place in the US on the 1st of July 1967. 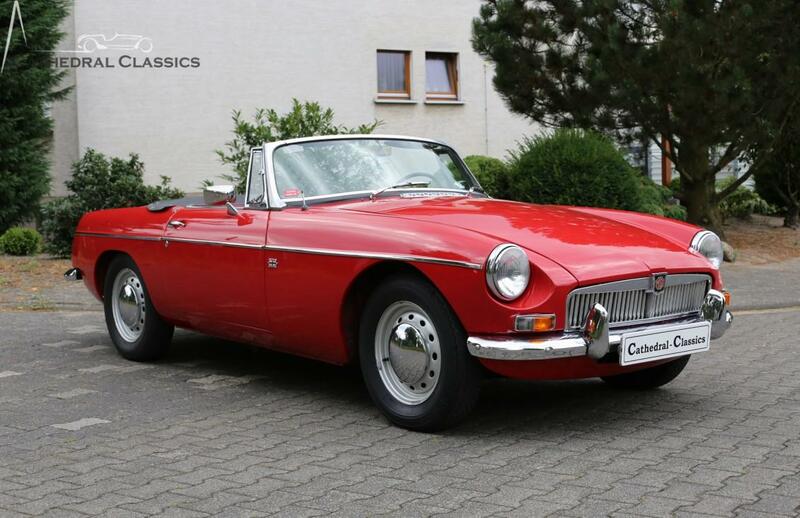 Jump forward to 1992 and G-HN3-L/108965 appears in Germany where it remains today. 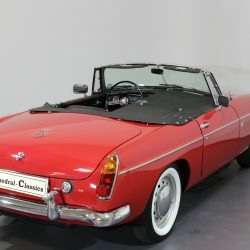 The extensive history file shows a host of invoices and receipts from the 1st German owner, Herr Jörg Kolwe, who clearly had big intentions but, somehow never managed to fulfil his dreams. 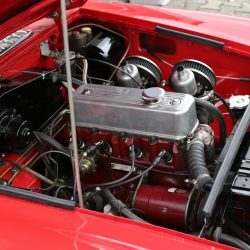 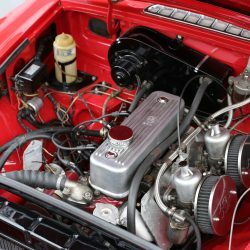 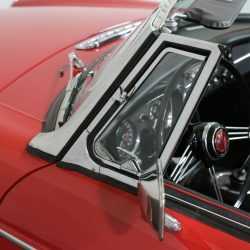 His fascinitsting pictures and hand written notes are a joy to read for any classic car fan. 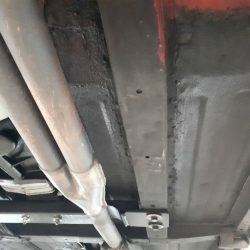 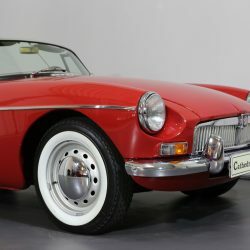 He would move the car in 1993 to a man who would ultimately steer the cars future towards a wonderful transformation and into the beatiful example we see today. 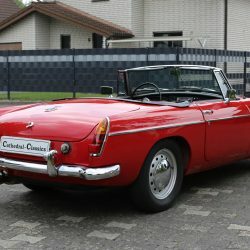 The new custodian, Dipl.- Ing Herr Ferlesch, following his 10 year ownership, then sells the car to a good friend who would continue the care for the next 15 years. Interestingly, they are still the best of friends today and were both present when Cathedral Classics initially viewed the car. 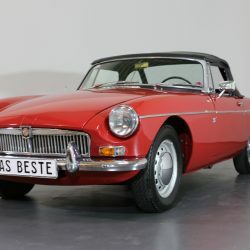 A fascinitsting 25 year account of the cars history was on offer with one of the highlights in 2012 during the 50 years MGB celebrations, when the car is chosen to feature in not one, but 2 German classic cars magazines: British Classics 4/2012 and Oldtimer Markt October 2012. 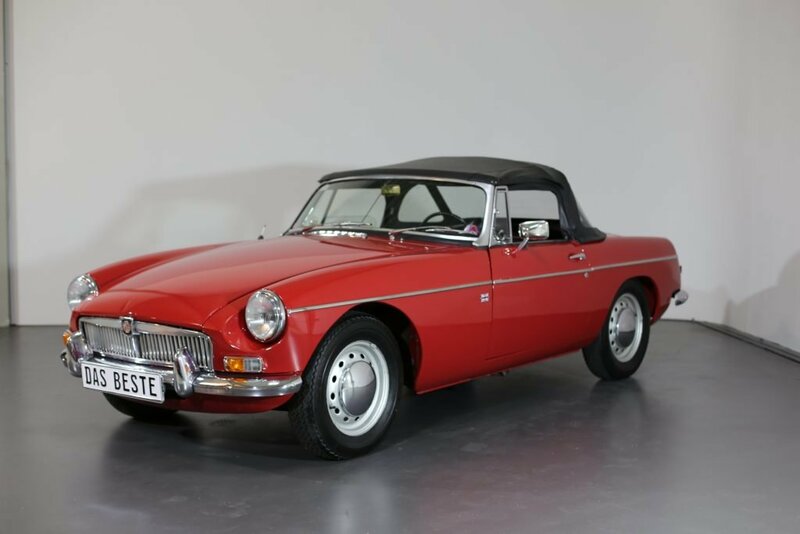 It's been a pleasure to bring this interesting car to the market place and hope that the new owner will continue to enjoy and indeed enhance its future. 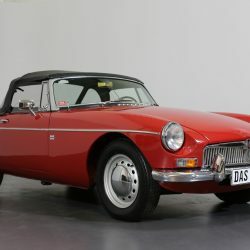 EXTERIOR - Finished in MG's popular Tartan Red, the frame off paint work was completed in April 2004 and is probably one of the best (14 years old) finishes we've encountered. 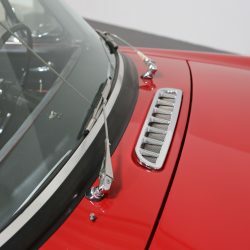 New chrome bumpers and other chrome elements all came together nicely and are still in astonishing condition today. 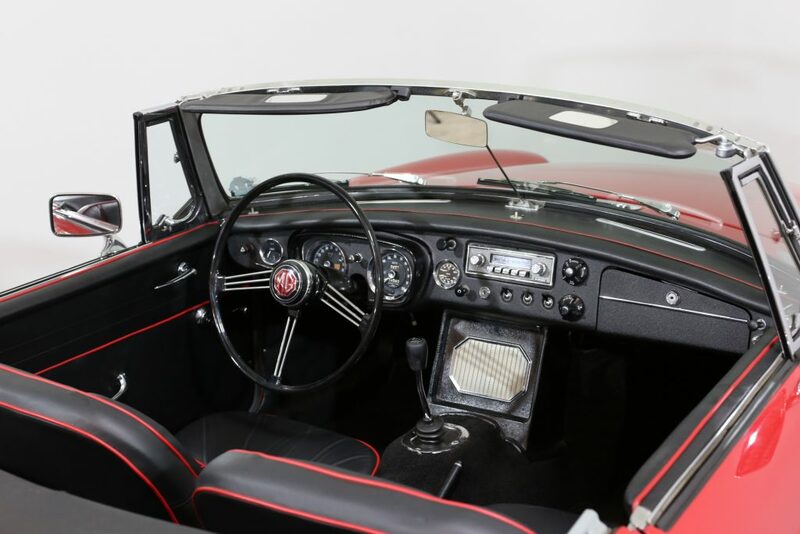 Often compromised during restorations, our MK1 was grateful for a new windscreen and seels, all of which are still standing the test of time. 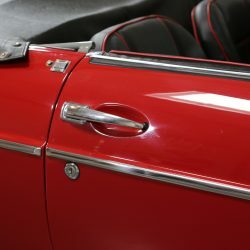 Our MK1 model is of course confirmed by the "pull handle" door grips, along with the door locks position and front indicators. 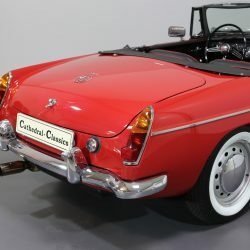 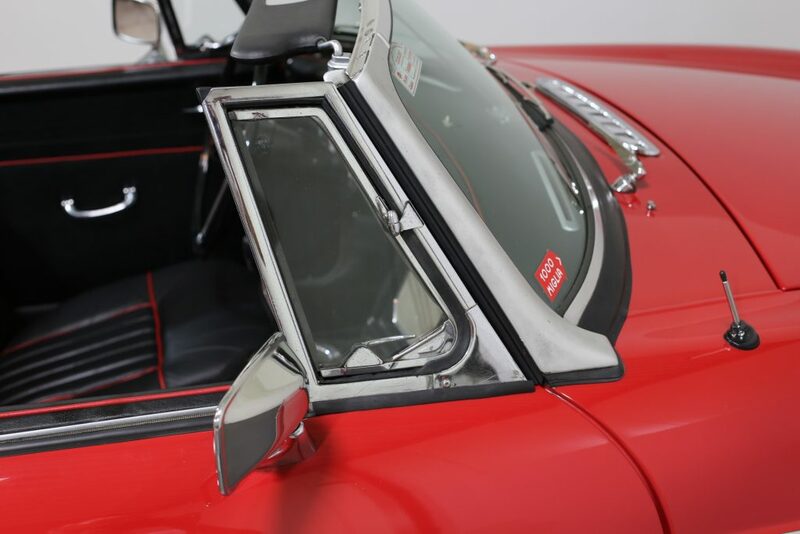 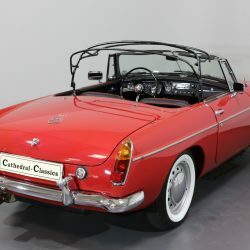 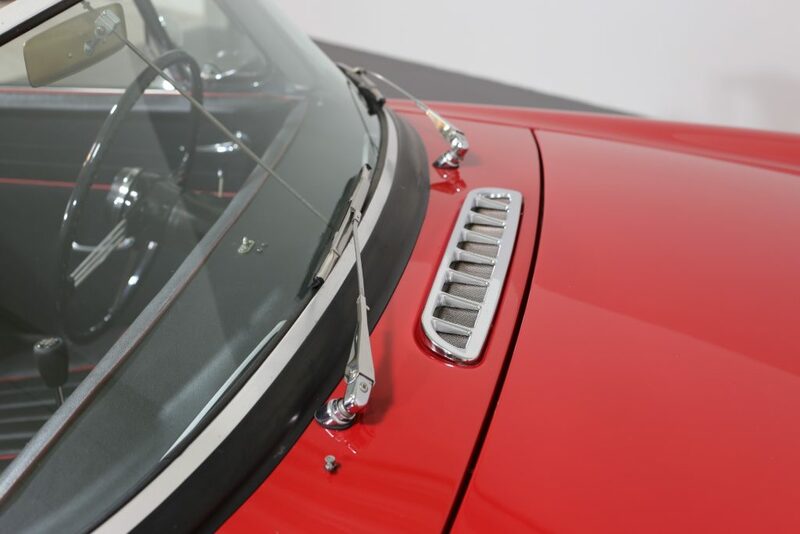 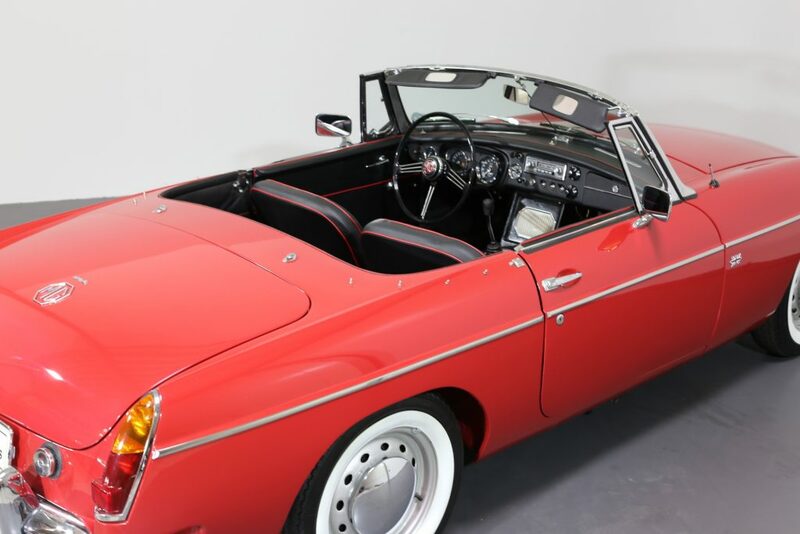 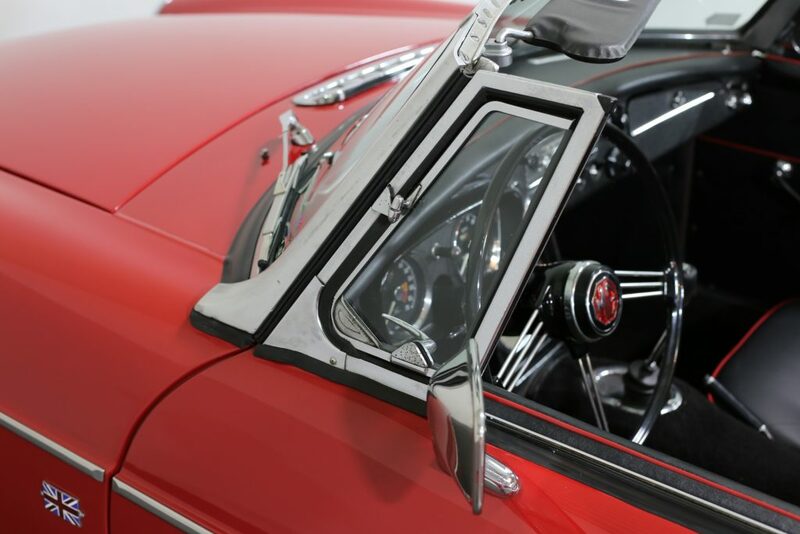 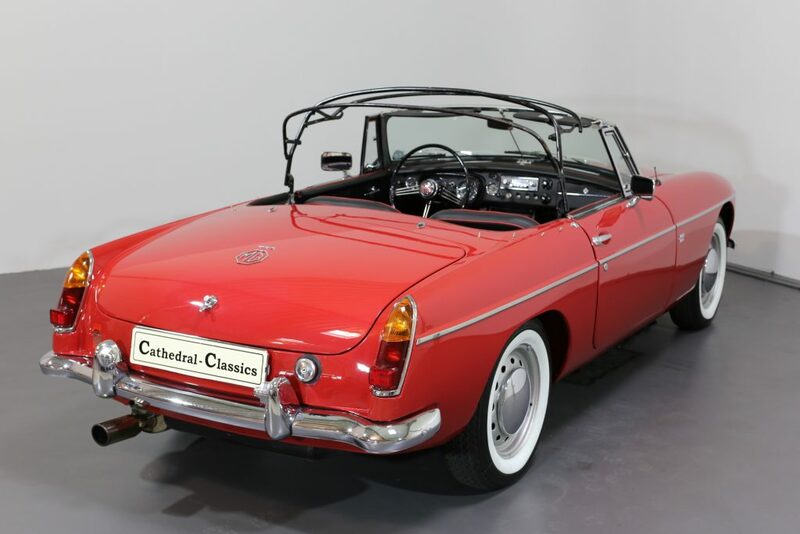 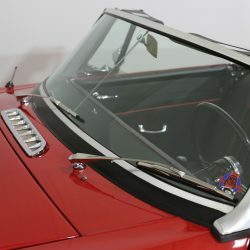 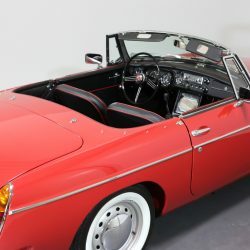 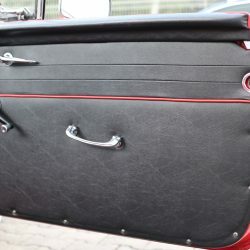 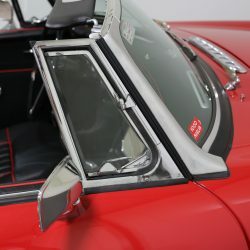 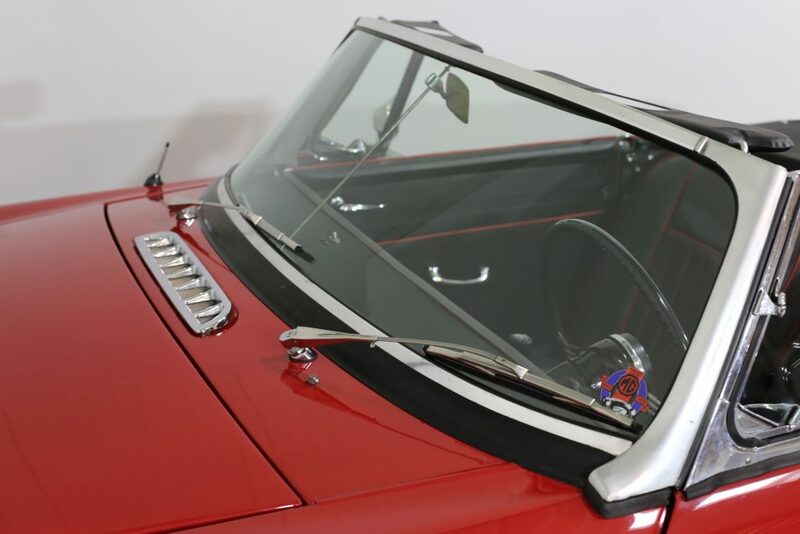 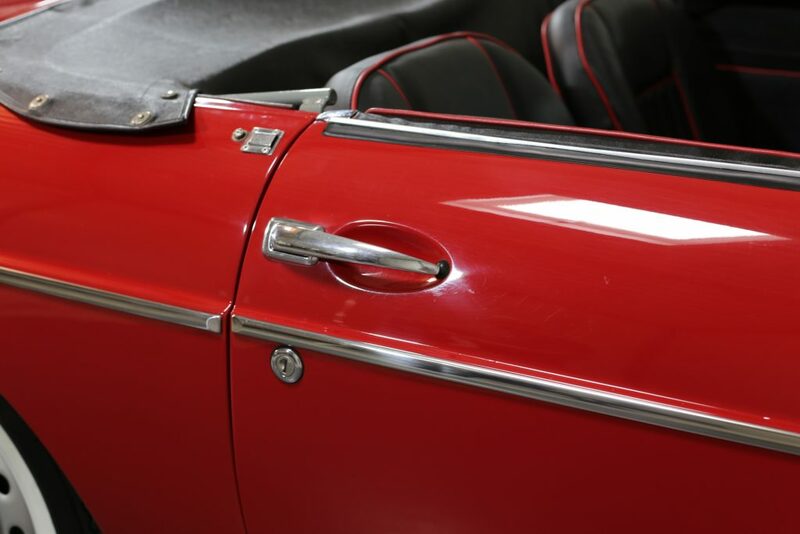 An aluminium bonnet was fitted in 2012.The US style whitewalls trims can be removed. 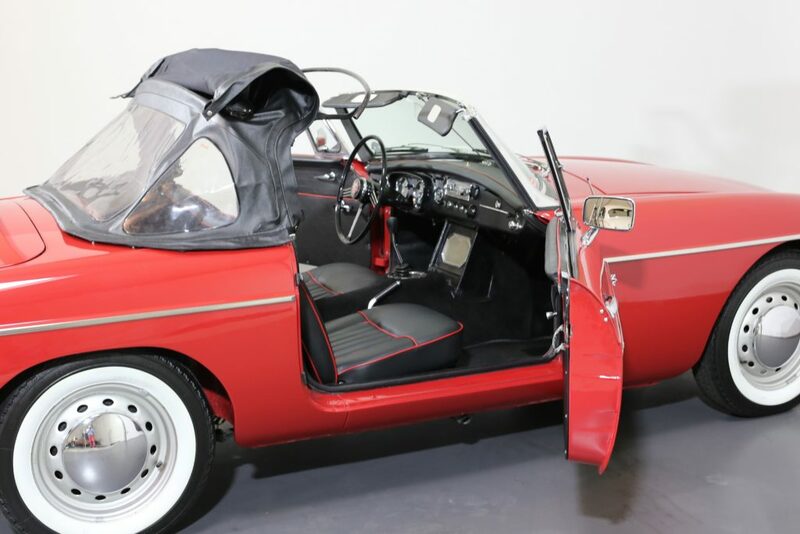 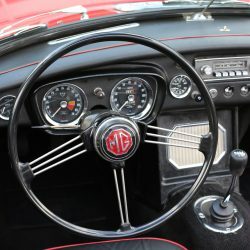 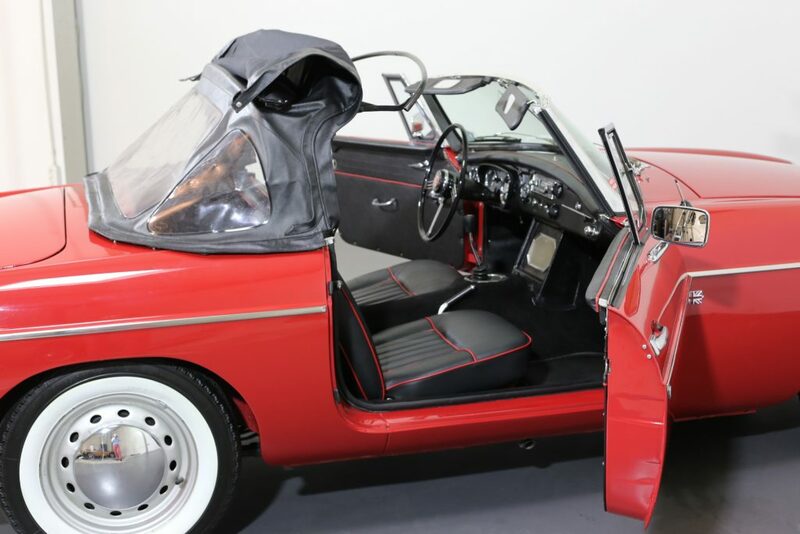 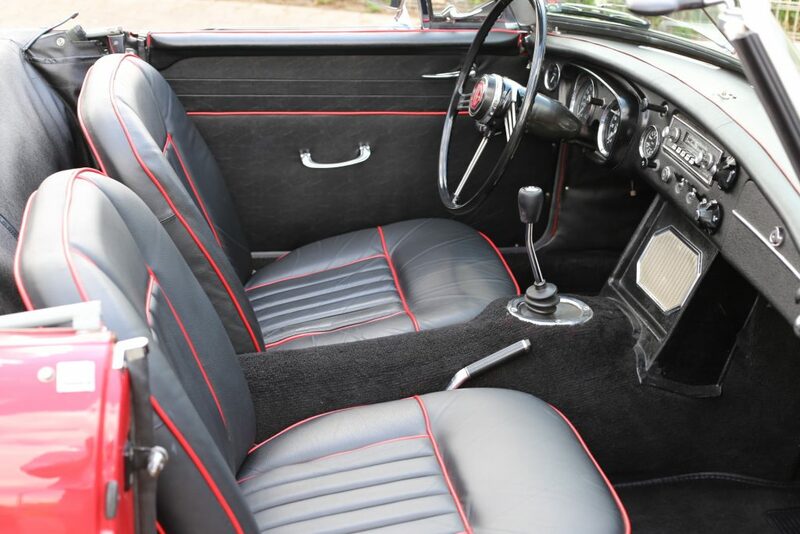 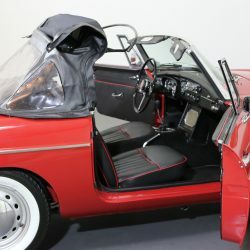 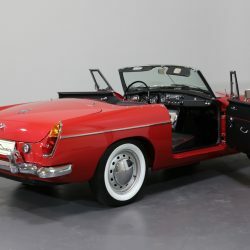 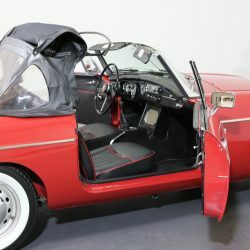 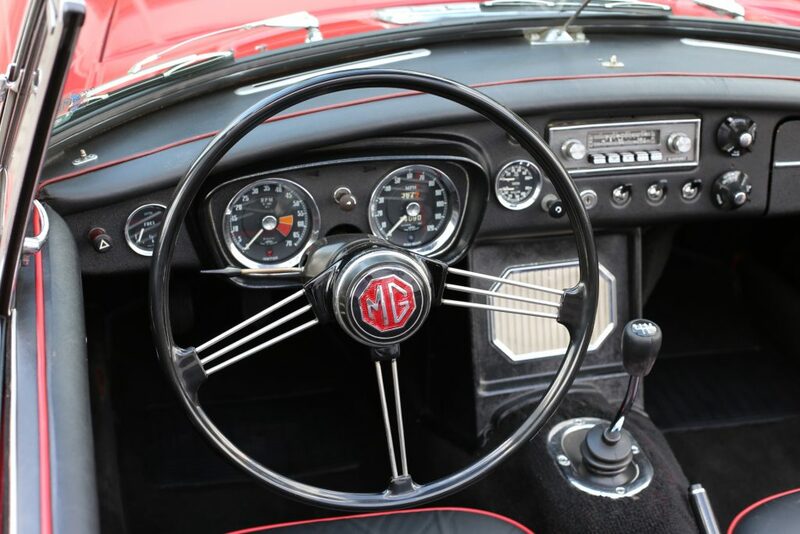 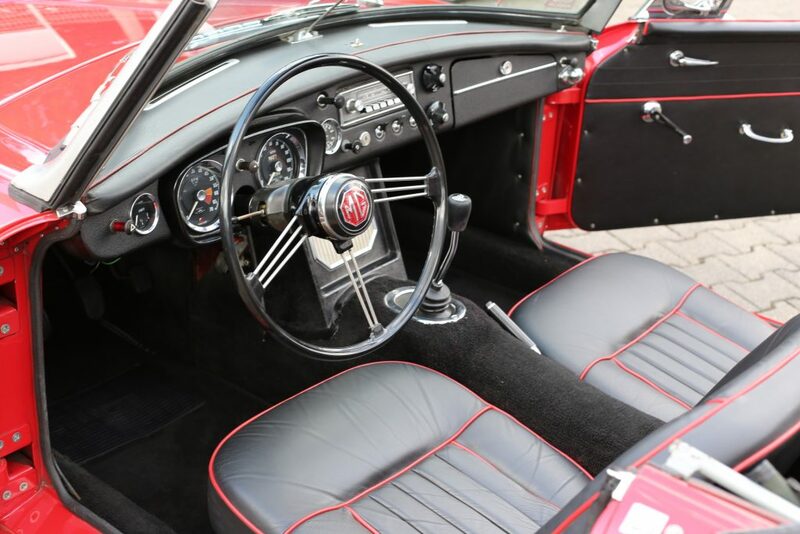 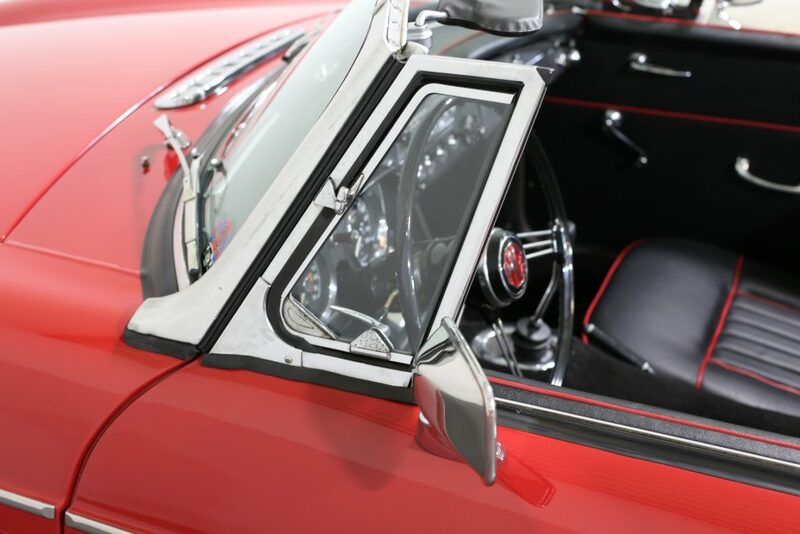 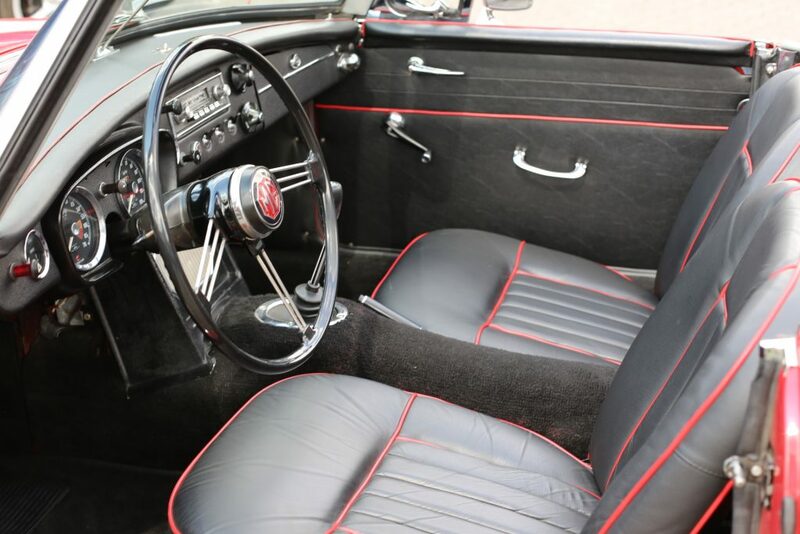 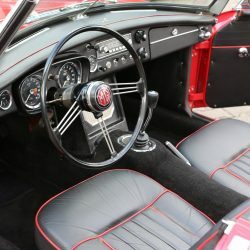 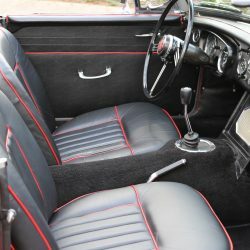 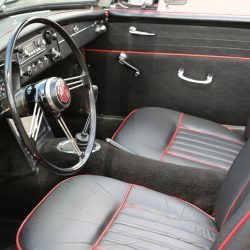 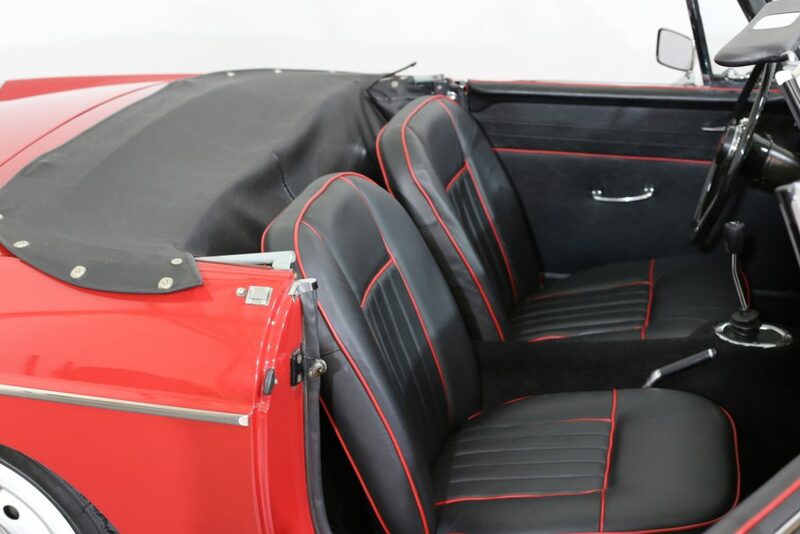 INTERIOR - The interior is dominated by correctly trimmed period MK1 seats and steering wheel, both supplied and fitted by renowned MG B specialist A. Schlotmann in Germany. 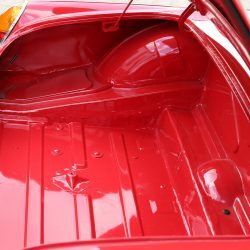 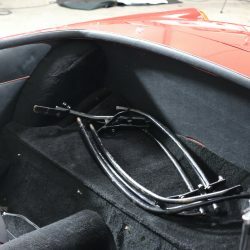 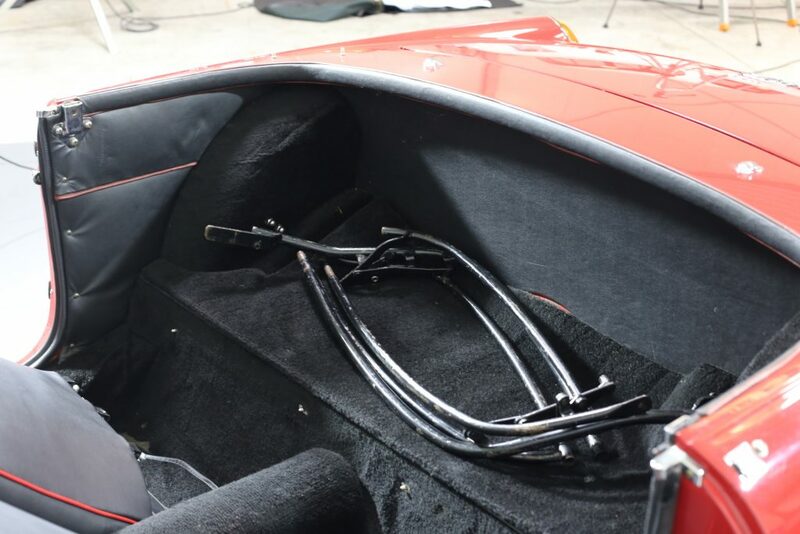 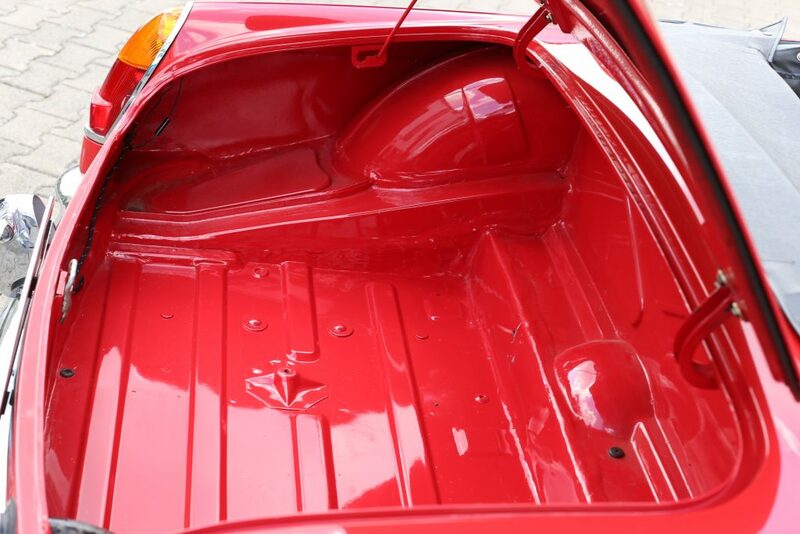 Appropriate new door cards were also fitted during the 2003/04 restoration, including new correct top waist line door trim. 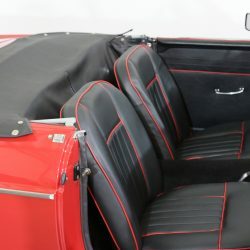 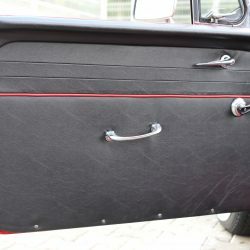 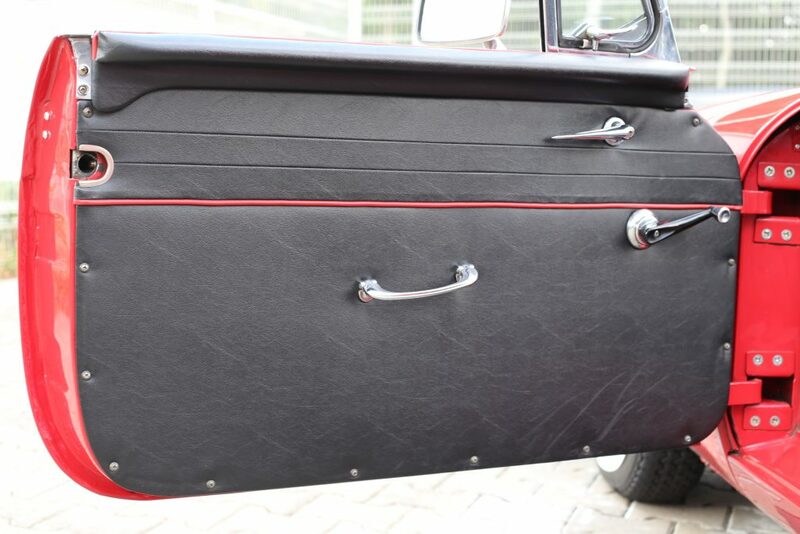 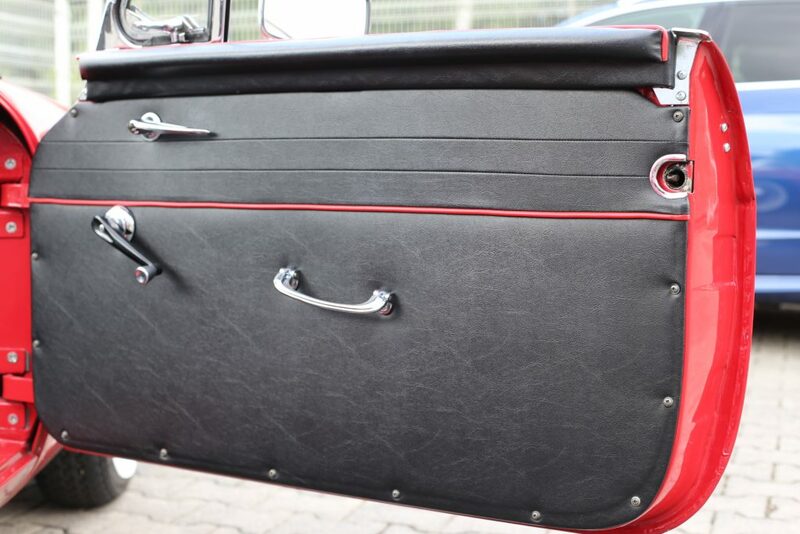 The black leather with red piping is also correct for the period. 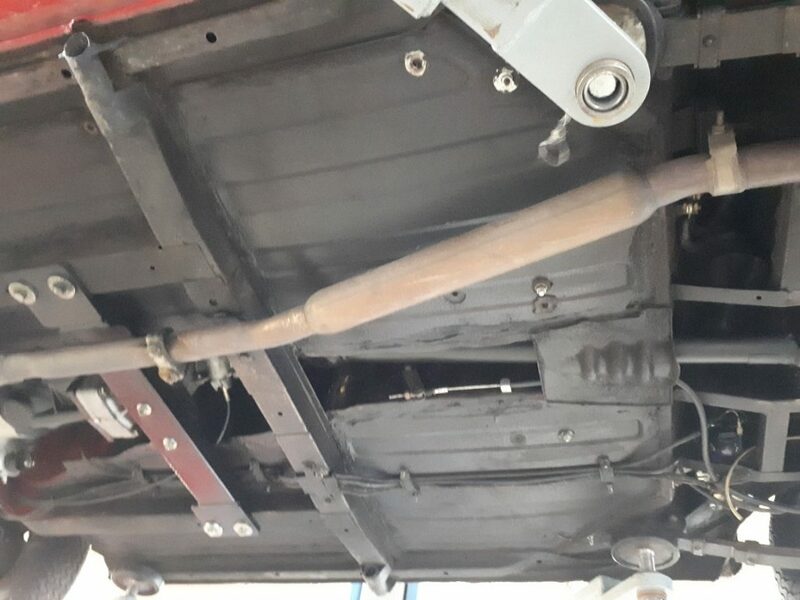 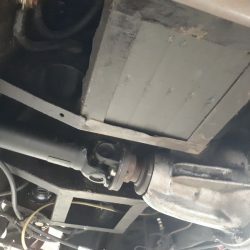 ENGINE & TRANSMISSION - Our engine number 18G-U-H 1144 is confirmed by Heritage to be as early as possibly late 1962 or early 1963. 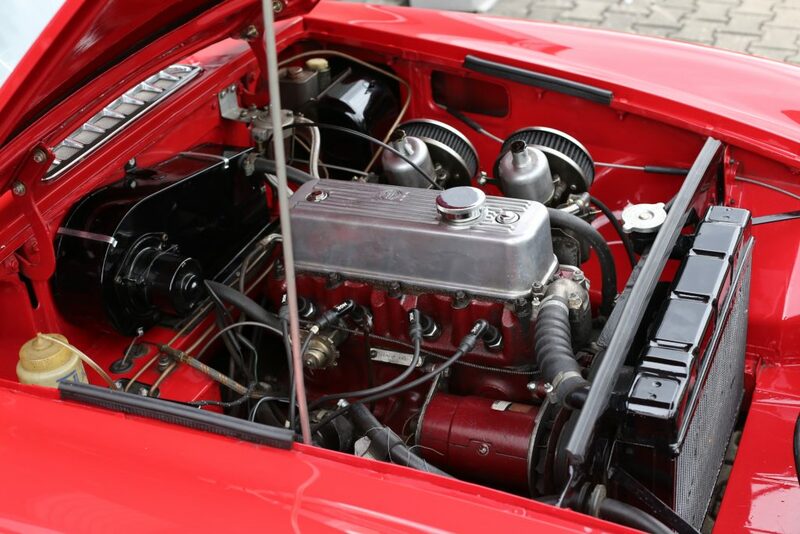 In 2003 the engine was completely rebuilt including: pistons, crankshaft and block rebored. 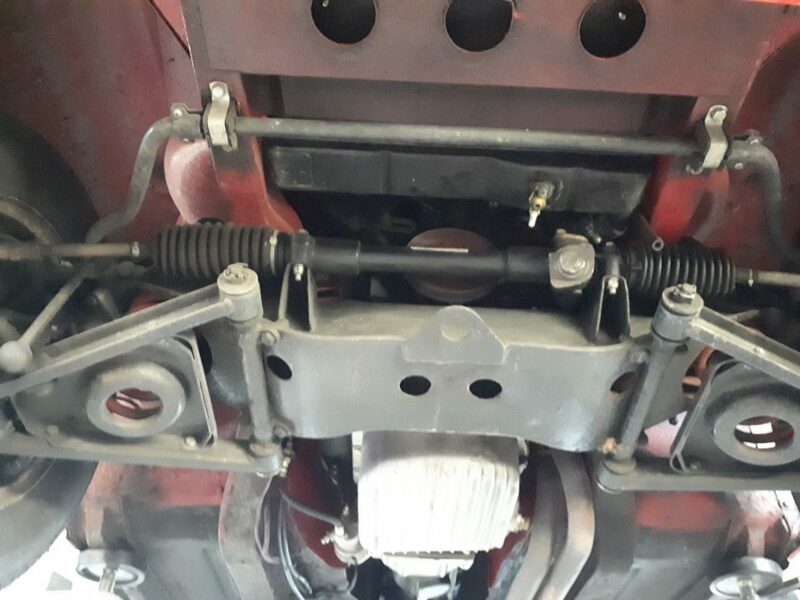 A new wiring loom was also fitted. 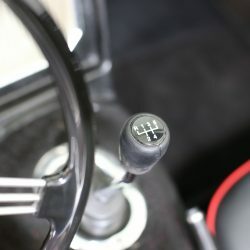 But the biggest transition for our car is in the gearbox region. 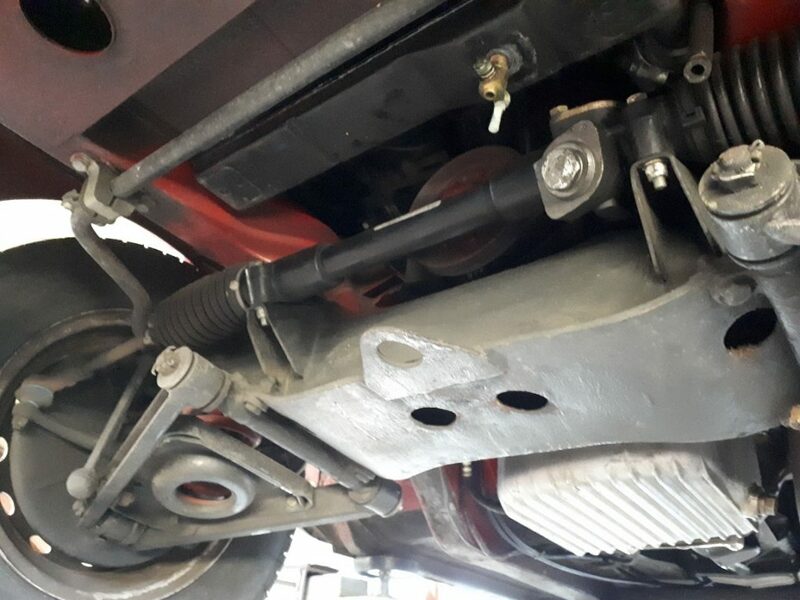 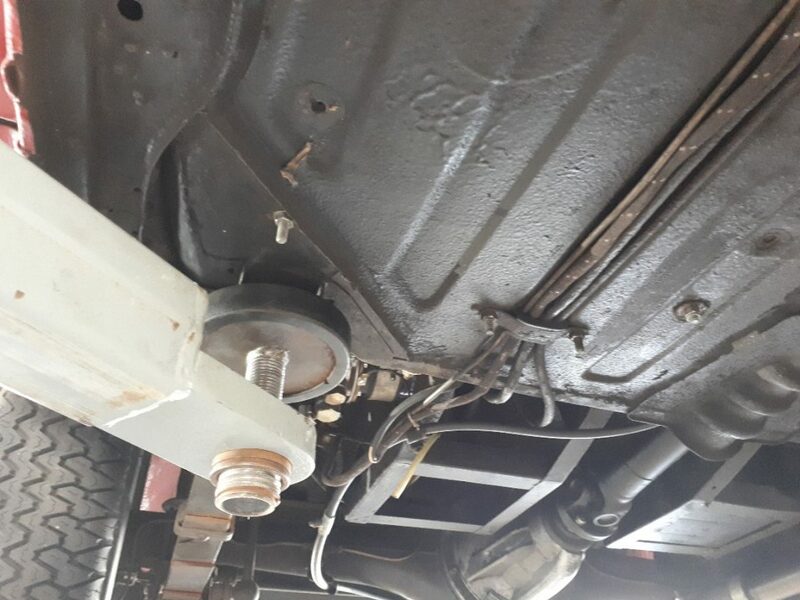 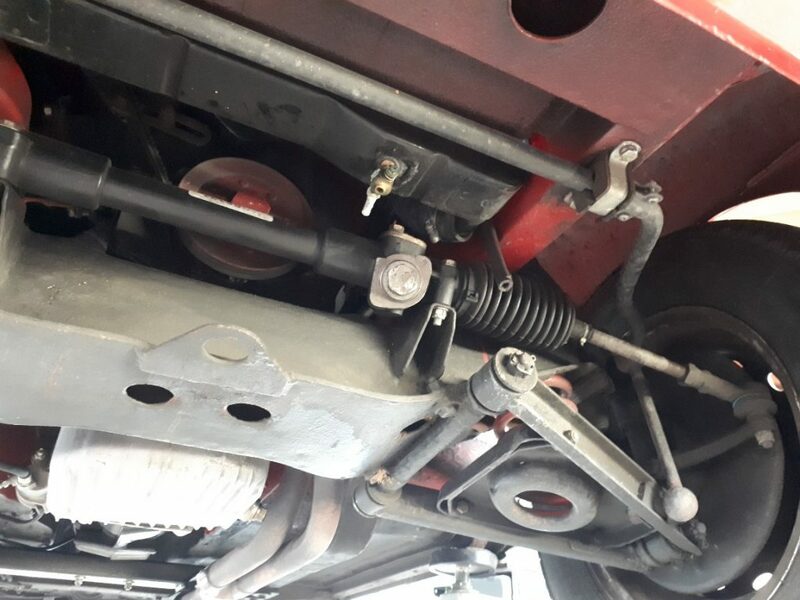 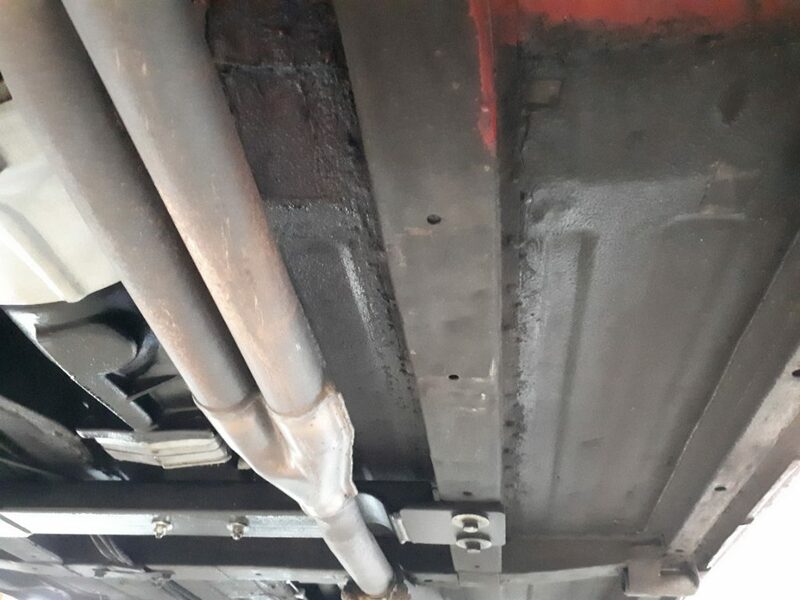 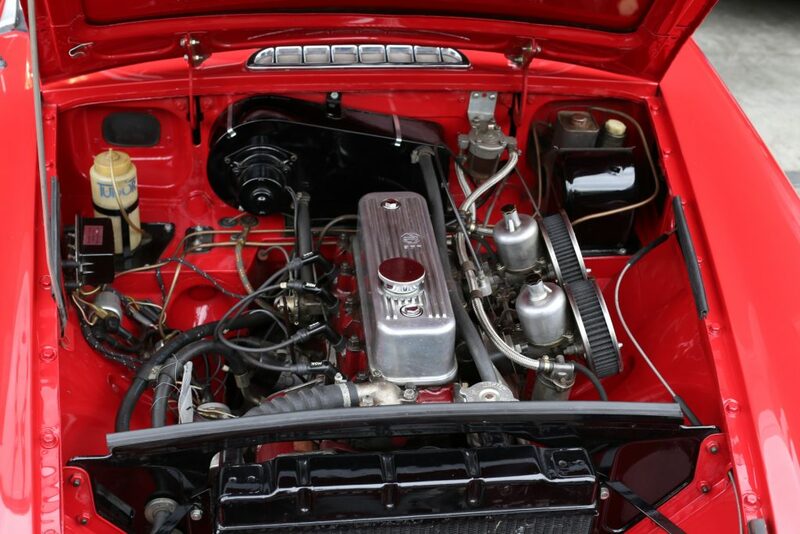 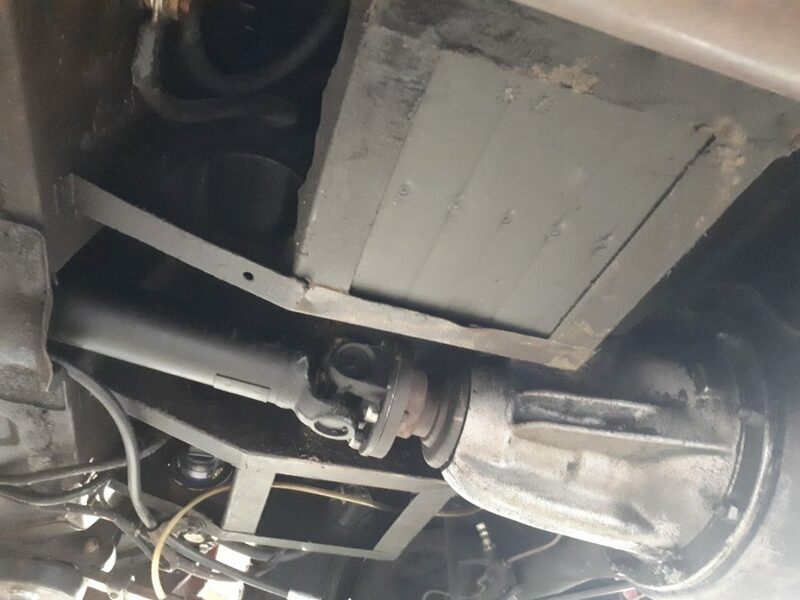 This example is fitted with a 5 speed Ford Sierra conversion which fits and works perfectly. 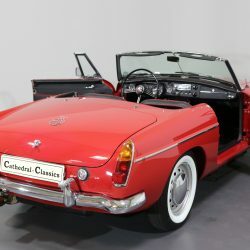 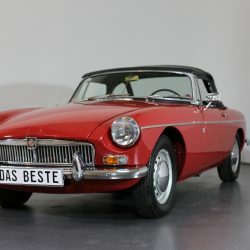 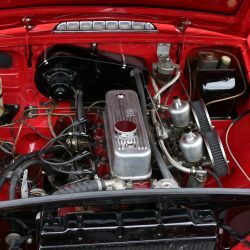 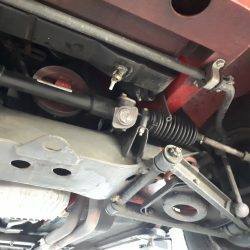 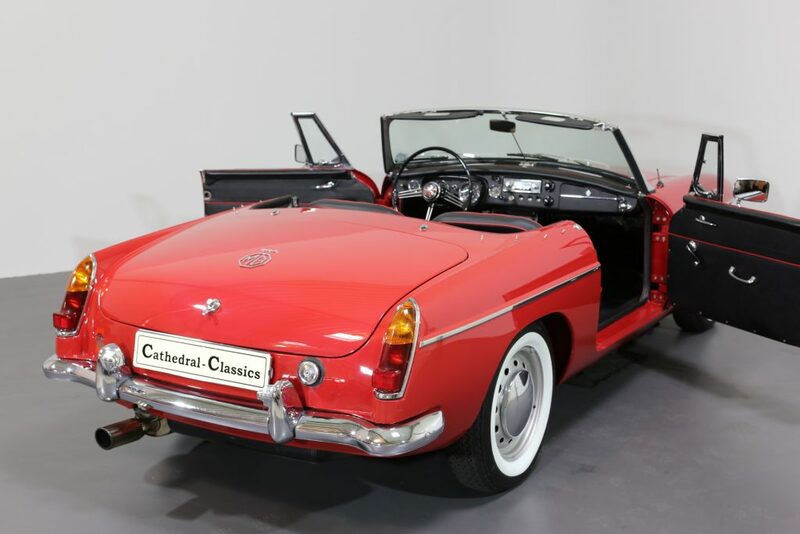 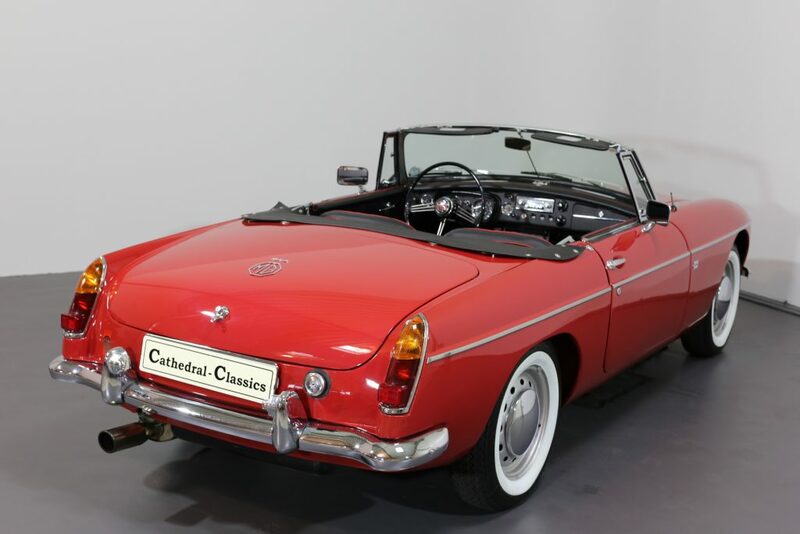 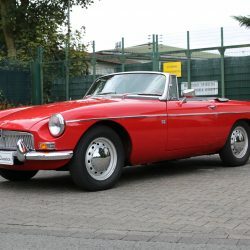 For the sceptics, which included ourselves, the results are remarkable with a car that now offers incredible torque levels without negating any of the usual MGB fun. 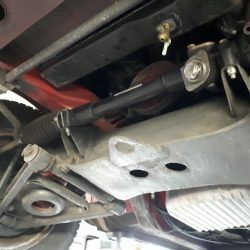 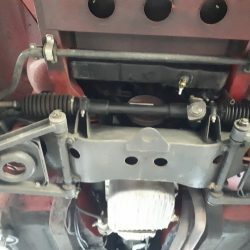 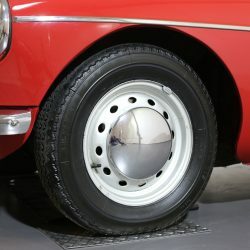 The innovation behind the move comes from Hi-gear Engineering Ltd in Derby, England and should really be tried before commenting. 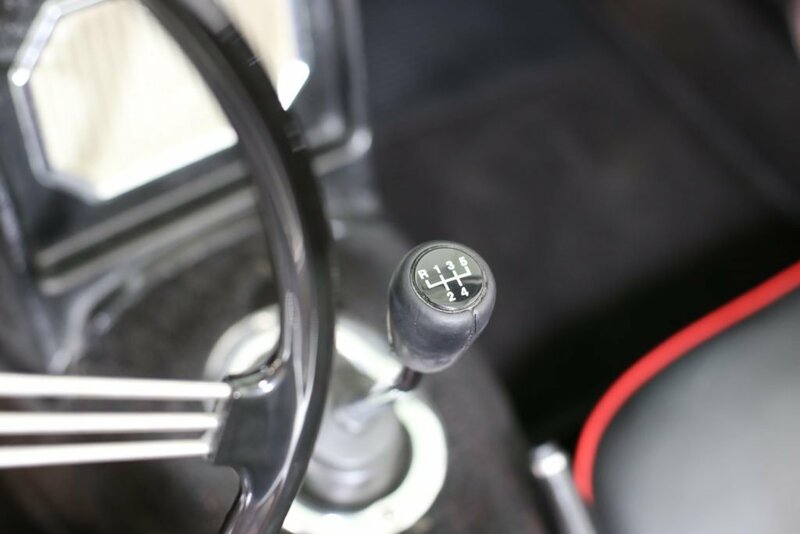 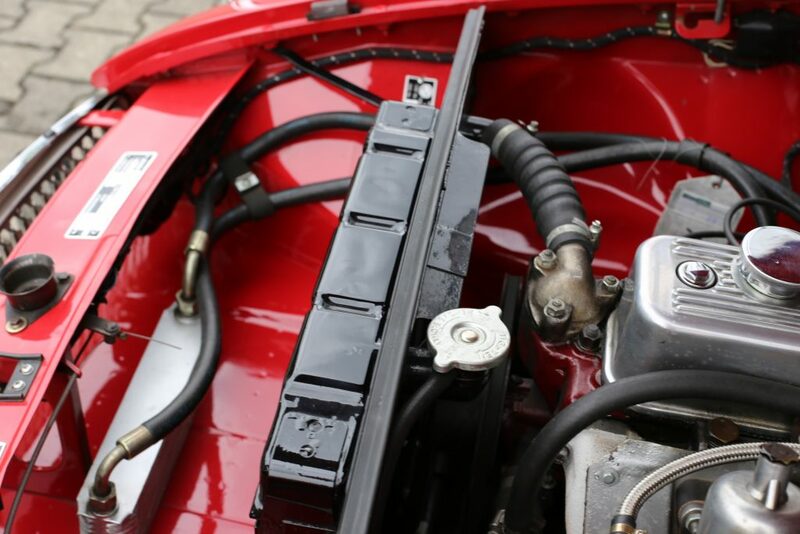 Naturally, the car comes with a completely overhauled standard gearbox too. 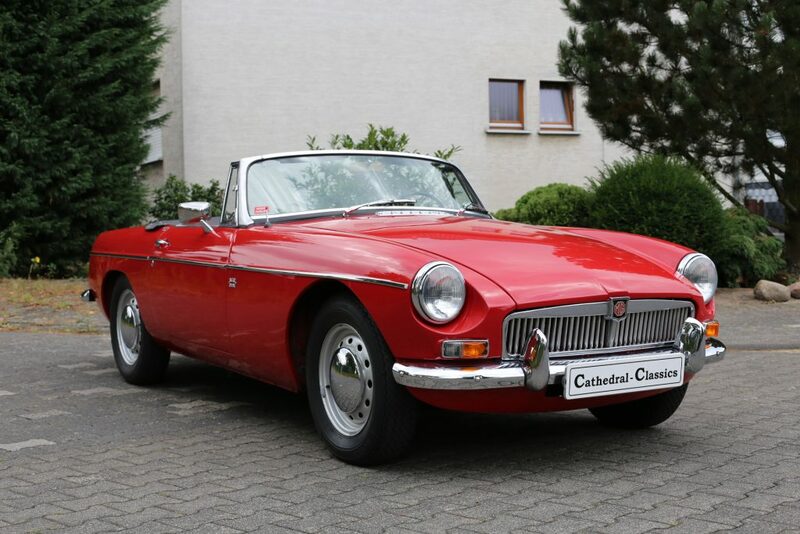 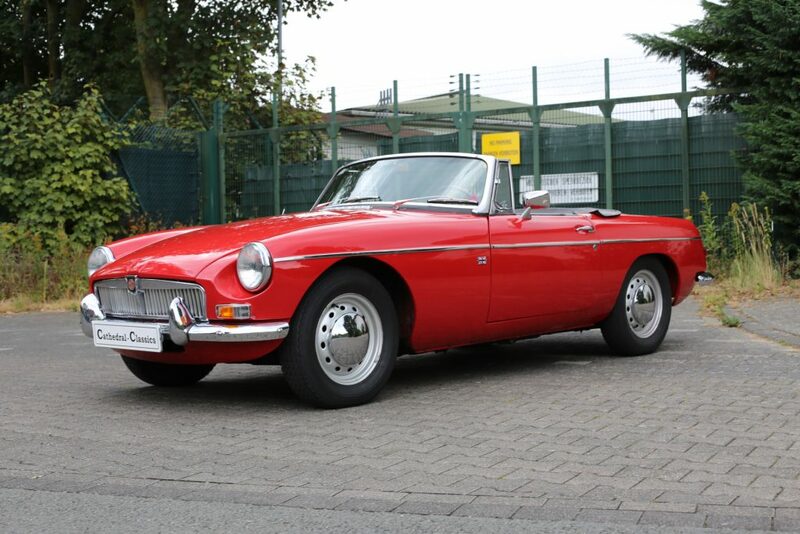 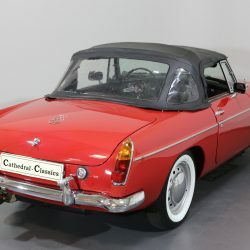 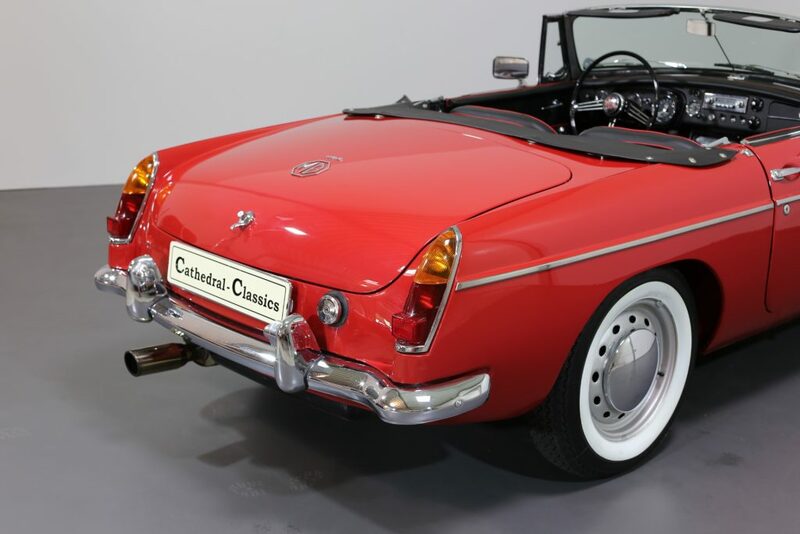 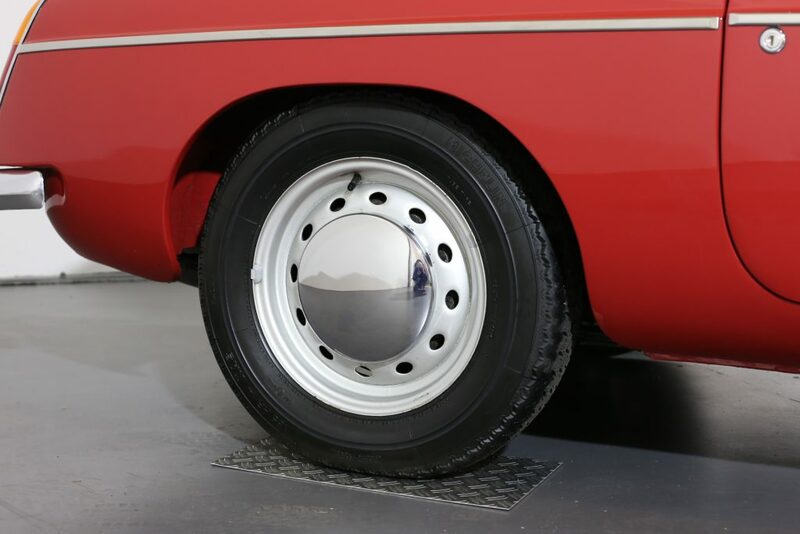 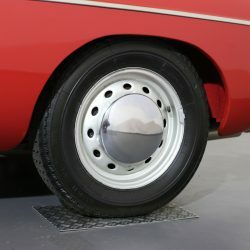 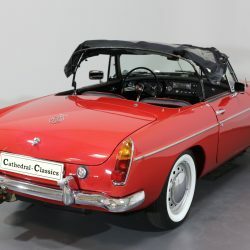 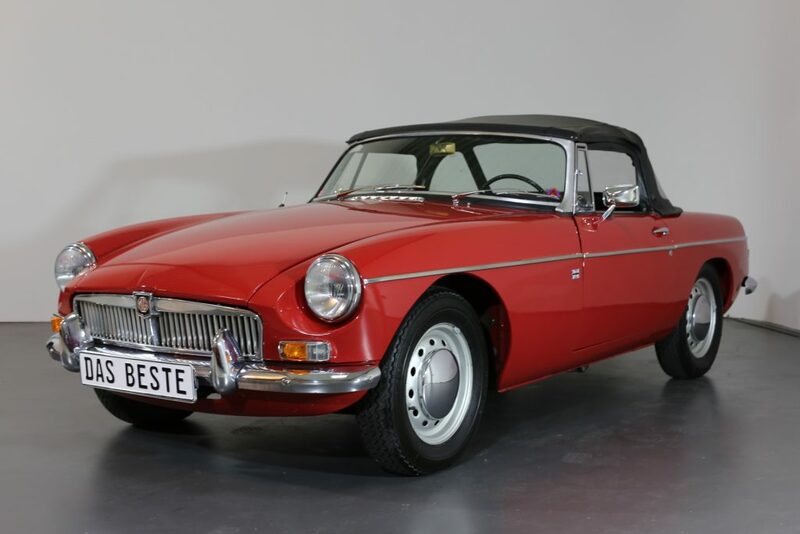 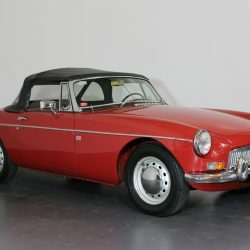 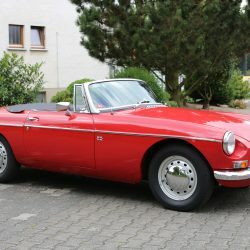 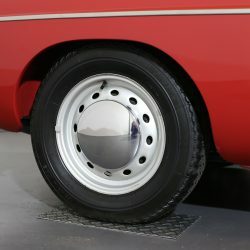 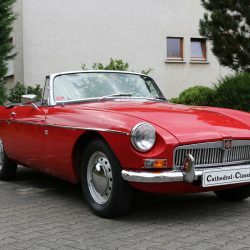 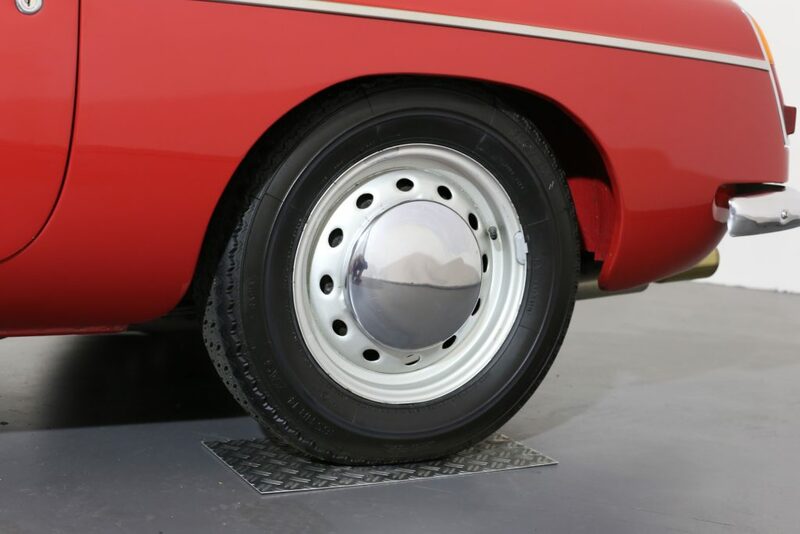 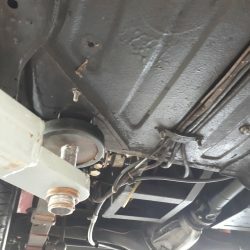 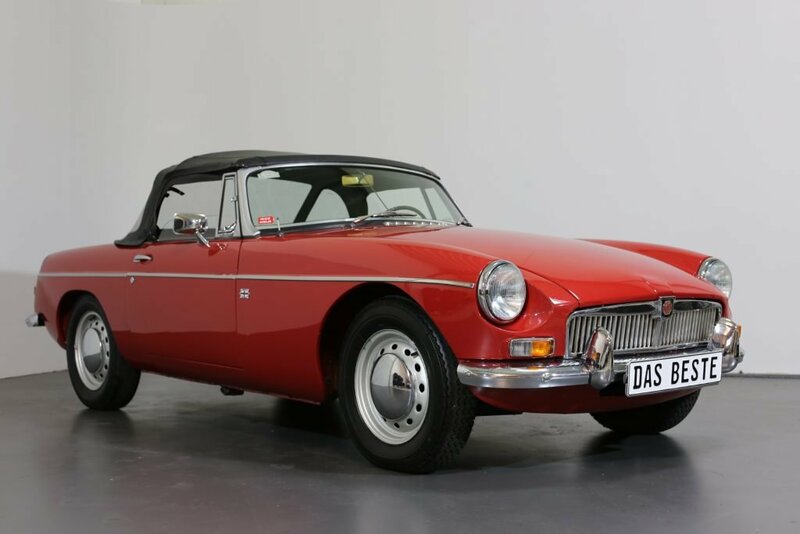 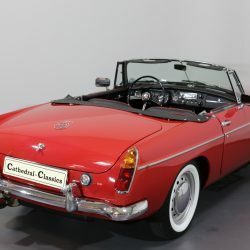 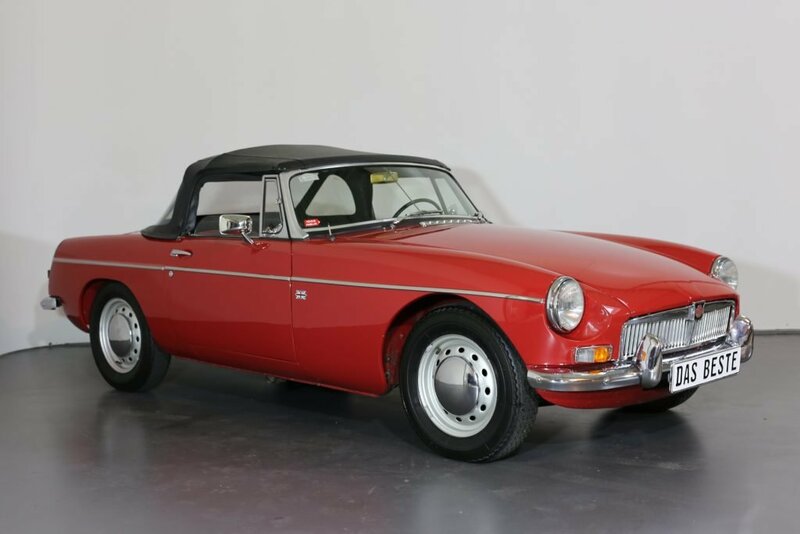 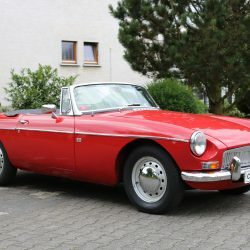 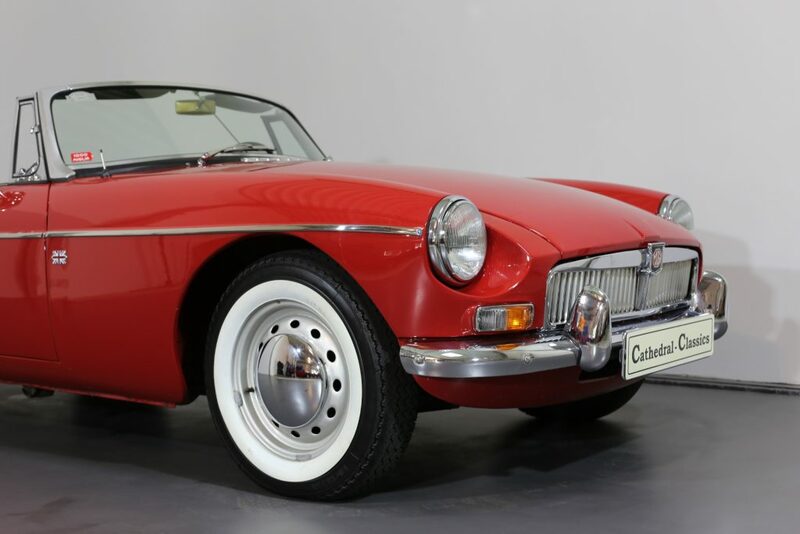 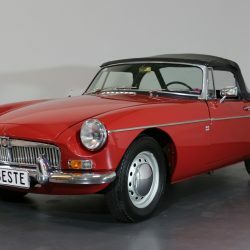 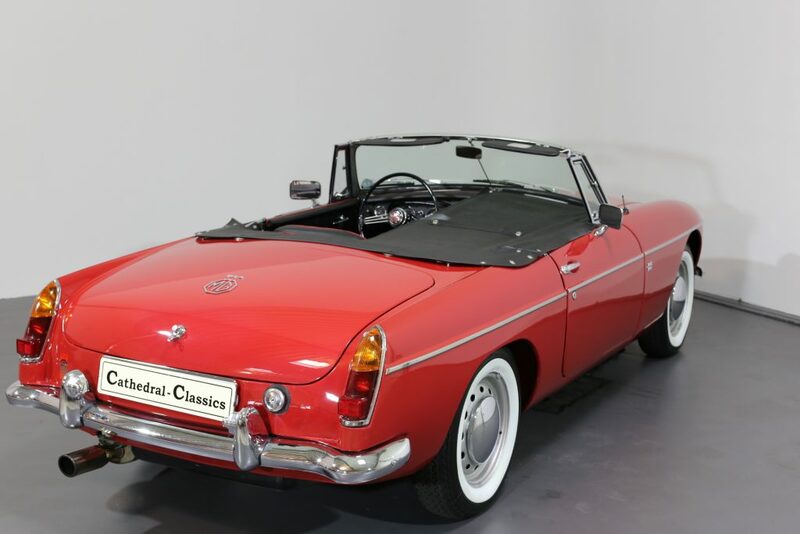 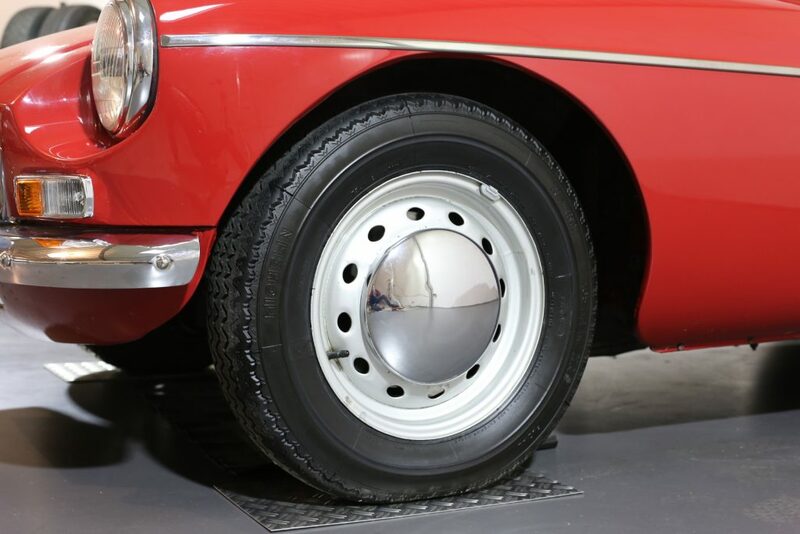 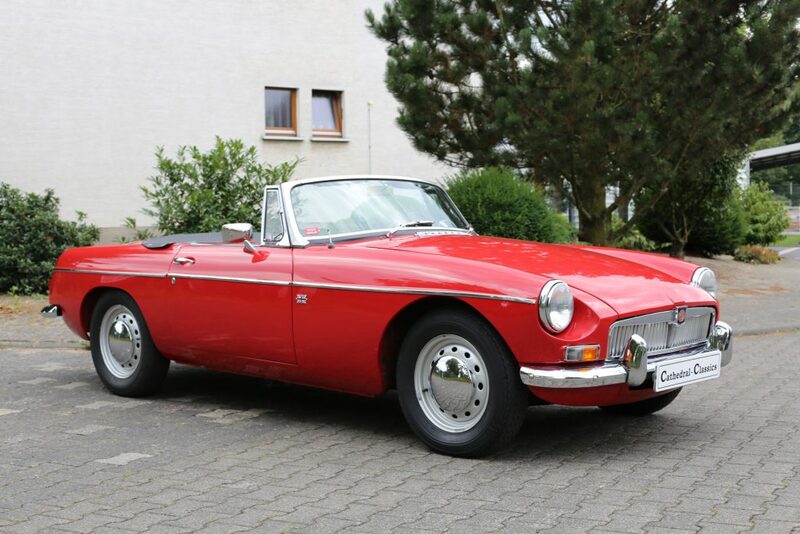 WHEELS TYRES & BRAKES - Until 1969, the standard MGB wheel was actually a simple four-stud steel disc wheel with 12 oval ventilation holes, as seen on our example. 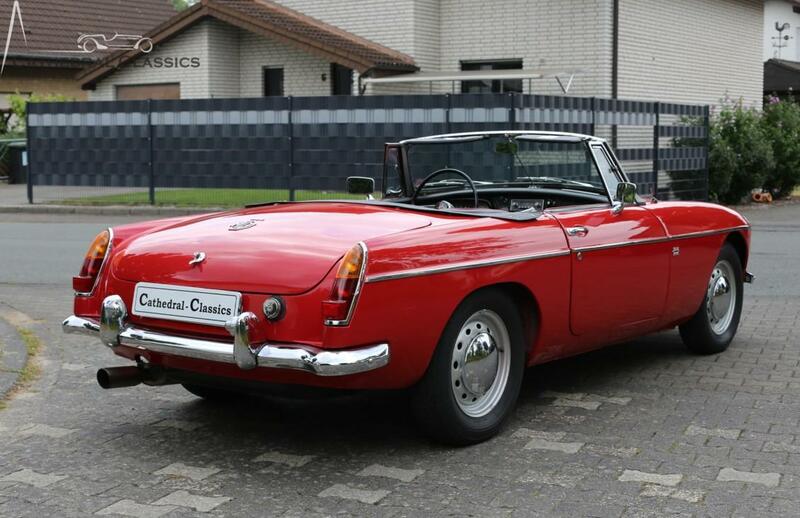 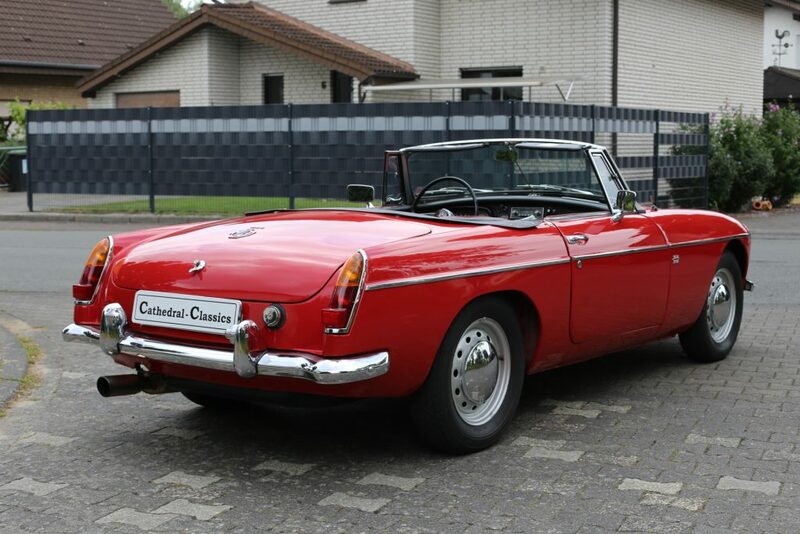 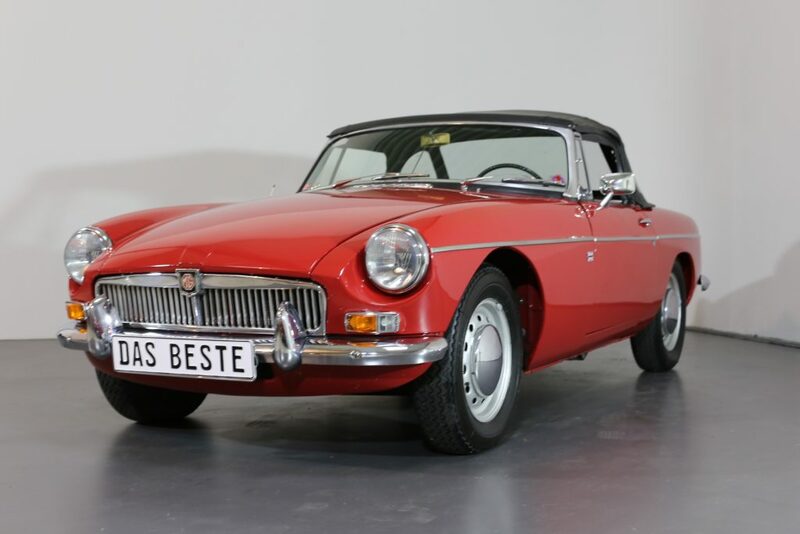 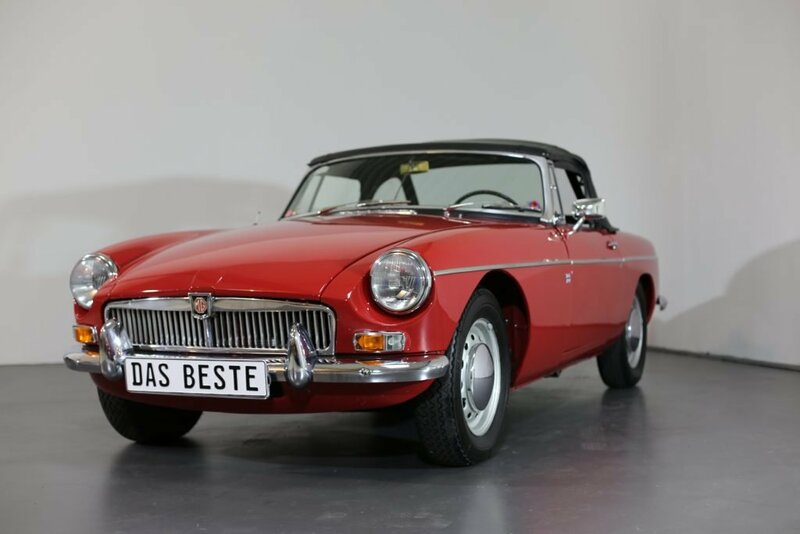 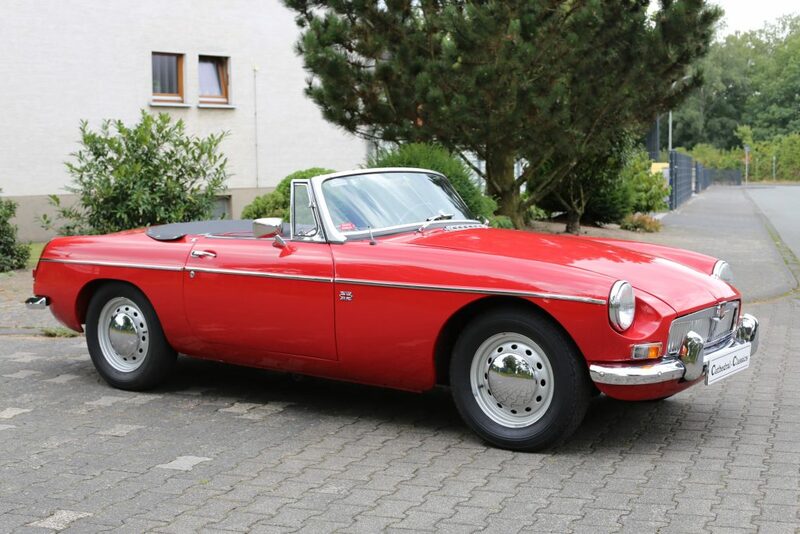 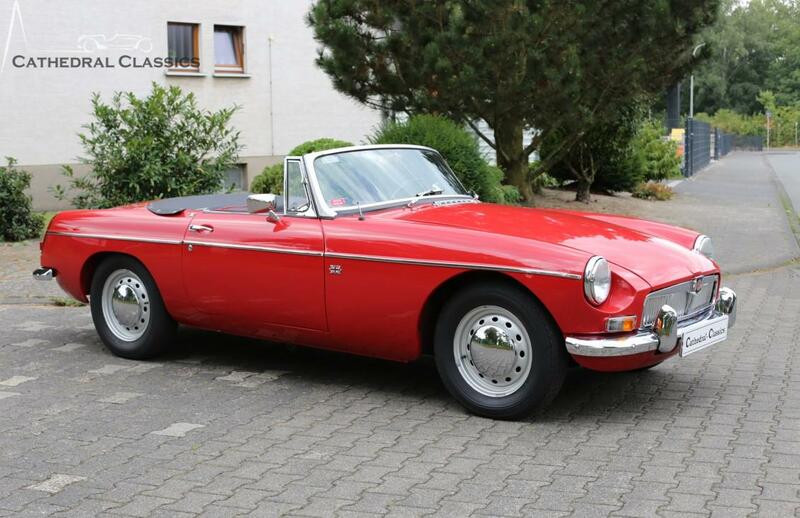 (Source - Anders Ditlev Clausager - Original MGB). 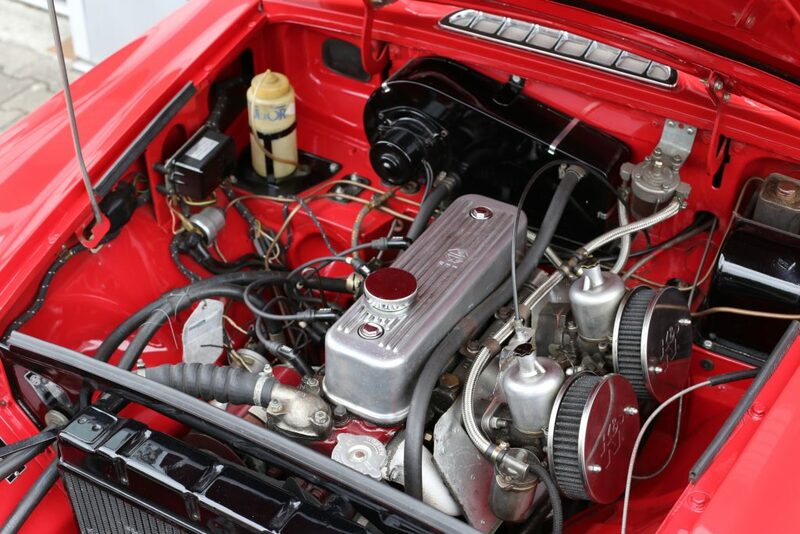 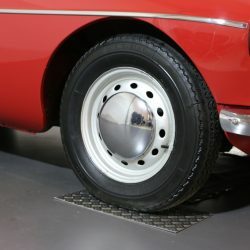 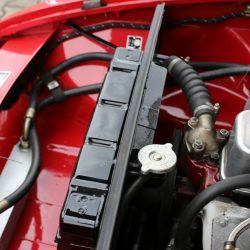 The whitewalls on our MK1 example were popular in the US and can be removed from our car for any potential new owner. 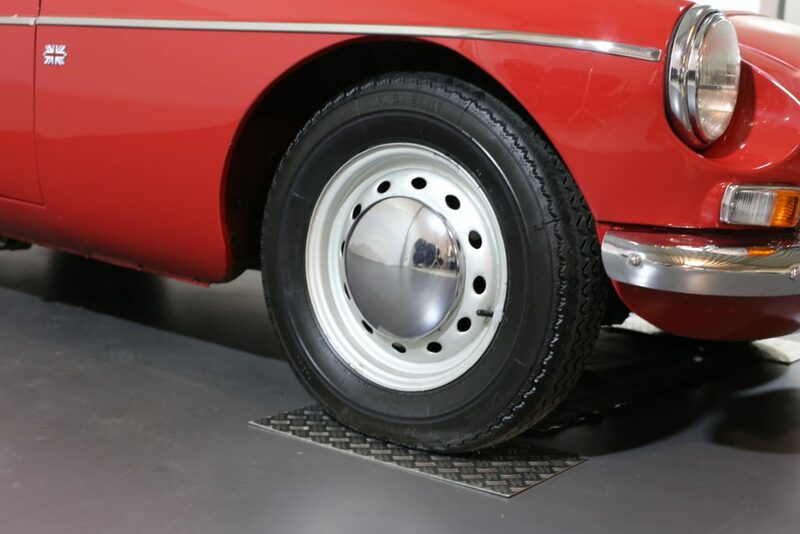 All four Michelin 165 HR14 XAS tyres display plenty of life and tread.